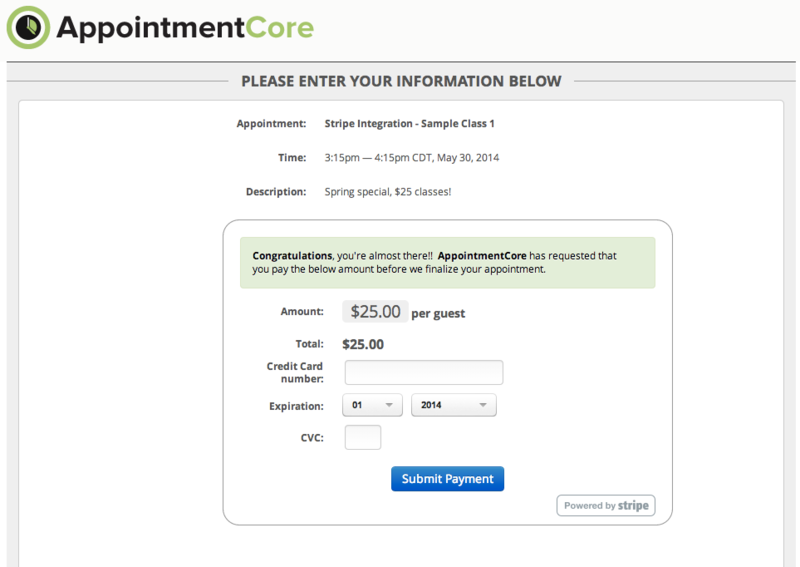 We have recently integrated with Stripe to offer our customers the ability to seamlessly accept payments for their appointments, consultations, classes, etc. 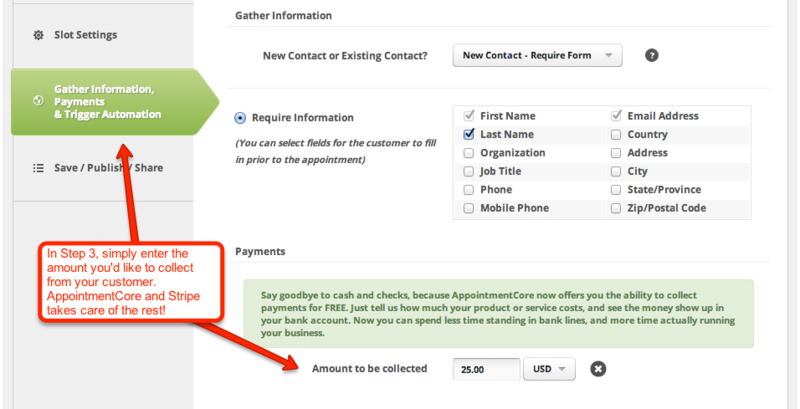 Stripe is a robust payments platform that instantly enables businesses to accept and manage their online payments. 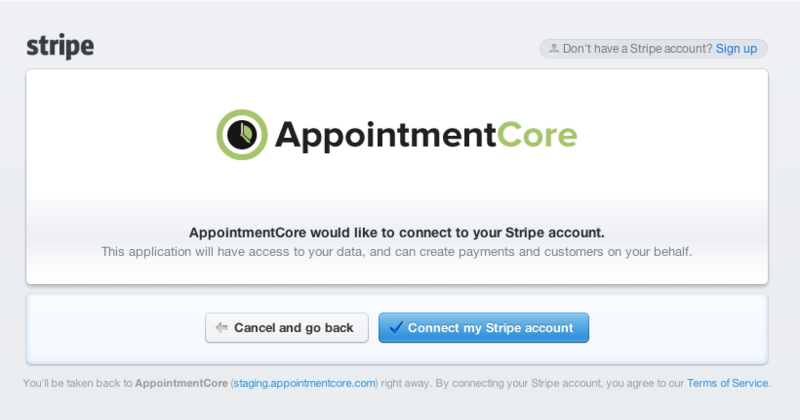 Once you've got your Stripe account linked, you can begin accepting payments with AppointmentCore!